Images from Shutterstock (human icons are modified images from artist Orla). Obviously, when Amazon follows you back on Twitter, you shouldn’t expect this to be an active member of your audience, reading and enjoying your tweets, interested in any products or services that you offer. But it’s still cool. If you’re a writer, you also want to follow KDP Amazon. TIP: You can find a good variety of free writing and publishing tips on KDP Amazon’s Facebook or Twitter pages. (Note that following KDP Amazon is different from following Amazon.) KDP Amazon makes effective use of social media, so KDP Amazon’s posts provide good examples of how to tweet or Facebook effectively. KDP Amazon surprised me with a wonderful social media Christmas present a few days ago. I received an email notification from Twitter that KDP Amazon had mentioned me in a post. So I immediately searched for KDP Amazon on Twitter. There I found a beautiful image, a link to one of my WordPress posts with a cover design checklist, and a relevant hashtag, #pubtip. Next, I received an email notification from WordPress that my stats were booming. I average about 10 views per hour, but when KDP Amazon mentioned my cover design checklist, I was averaging 100 views per hour. I noticed that most of my traffic was coming from Facebook. So I found KDP Amazon’s Facebook page, where I saw a similar mention of my cover design checklist. And a host of other valuable references for writers. 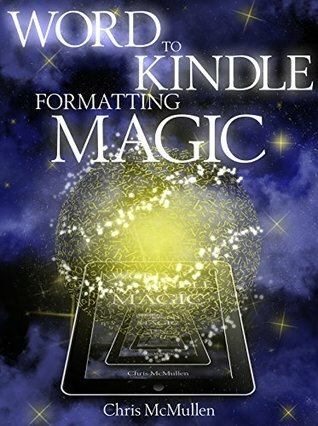 Amazon discovers many KDP and CreateSpace indie authors. Once in a while Amazon reaches out to an author. Other times they discover helpful writing or publishing tips and link to them from their social media pages. Several authors are recognized through success stories in the KDP newsletter, CreateSpace newsletter, or even on Amazon’s homepage. Obviously, you can’t expect Amazon to reach out to every author, or to feature you if you simply contact them with a request. 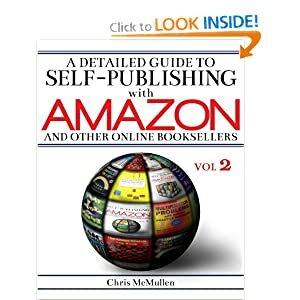 But you can see that Amazon does find some authors who are finding success on Amazon or who are supporting Amazon writing and publishing opportunities. Following are some Amazon social media pages that all writers should follow. 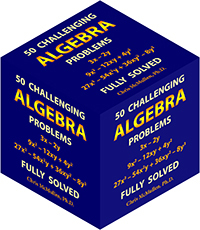 Subscribe to the KDP email newsletter: http://www.amazon.com/gp/gss/detail/13778590. The monthly newsletter often contains helpful tips and highlights success stories. There is also an occasional email newsletter from Amazon called Newsletter Highlights: http://www.amazon.com/gp/gss/detail/162110. Amazon’s new publishing program, Kindle Scout, has a subscription newsletter, too: http://www.amazon.com/gp/gss/detail/29134490. Wouldn’t you love it if you had anonymous advocates for your book? People who read your book and enjoyed it so much that they are telling people they know and meet about your book. They might even recommend your book on Facebook or Goodreads, without ever having interacted with the author. They did so because they loved the book and wanted to share it, not because they were asked to promote it. Such word-of-mouth support would just be golden. You could be the anonymous supporter for wonderful books that you’ve read. If they are, in fact, wonderful books, they very much deserve your support. If also you paid very little for said book, while deriving much enjoyment from it, your support would be a great way of leaving a little tip for all the time and effort that must have been put into making that book wonderful. The positive things you do just for the sake of doing good (for those things that are worthy of your support) may return something positive to you some day. Or at least you’ll be in a more positive mindset, knowing that you’ve done good deeds, so that you’re more likely to see the good things in your own future, rather than focusing on the negatives. Or maybe a few of the people who see all the good you’re doing will feel the urge to do something nice for you. Don’t perform good deeds for the mere hope that good deeds may come back to you. Rather, do them because you see the value in doing the good deed itself. And for those who are slamming the competition or playing unfair, they are probably shooting themselves in the feet. But they are also inviting bad karma to someday repay them the favor. Or at least they’ll be in a more negative mindset, perhaps worried about possible bad karma, more likely to see the bad things in their future, taking anything positive for granted. Or maybe people who see all the bad they’re dishing out will be more reluctant to do nice things for them. There is another reason to support good books. It helps to create a better brand for the book industry, which helps everyone. Show what positive wonders there are in the book world. Show the best examples of great stories and great writing. This helps to attract more readers overall. Show examples of great self-published books, and that helps to recruit more support for self-publishing. Show examples of great Kindle Unlimited books, and that helps to recruit more subscribers for Kindle Unlimited. But focus on the poor features of the worst books, and that hurts these brands, deterring readers. 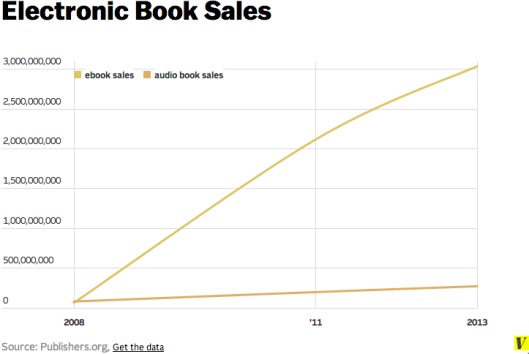 After all, books are competing against videos, movies, games, and other media. If you make your own images, you can potentially customize your cover exactly as you want it… with the limitation of your ability to draw illustrations, take photographs, and use image-editing software. There is an art to photography, e.g. eliminating red-eye, getting the lighting and shadows just right, capturing the right facial expression, etc. It’s not as simple as it might seem. If you hire an artist, you still need to question where the images come from. If the artist is using stock photos, for example, you want to know that they are properly licensed. Don’t just use any image that you find on the internet; it’s probably protected by image use guidelines. Also, most of what you find on websites has very limited resolution (under 100 DPI). What you really want is to find a collection of stock photos, which clearly spells out the licensing agreement so that you know if you can (or can’t) use the image for your intended purpose. There are free stock photo collections, but you may be more likely to find quality images that fit your needs well with high enough resolution from low-cost stock image providers. A couple of popular sites include Shutterstock and iStockphoto, but you can find more via Google. You can use images on a website according to 2.a., but the use appears to be restricted in 6, 7, 8, and 10. For example, if you simply put the image as-is on your website, others would be able to download and use the image without paying for it (and you can be sure the company wants to prevent this possibility). Most of the stock photo companies wish to prevent cover designers from displaying pre-made covers using their stock photos. Their fear is that some designers may then sell the same covers to multiple authors. Read the restrictions carefully. It may also be wise to contact the company for a written decision on the matter. 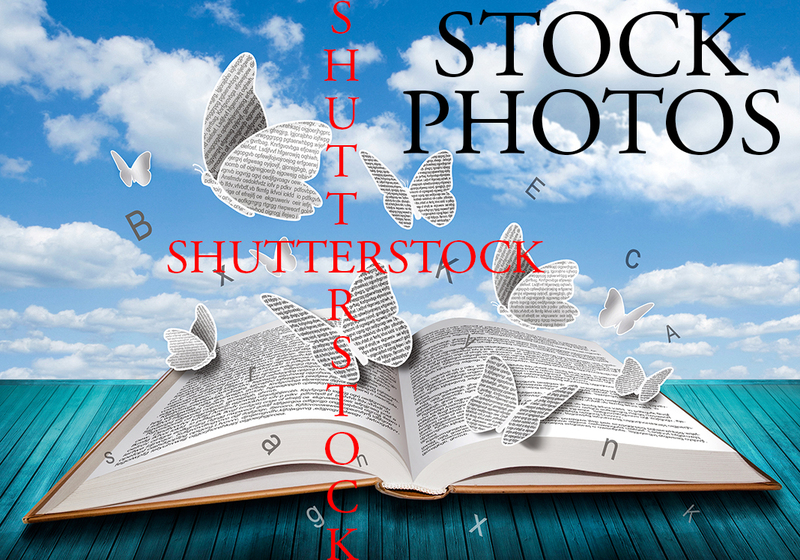 I’ve been using ShutterStock recently. The images I’ve been browsing through are amazing. They often have 50 to 200 pages of the images that I’m searching for, and all of the images are impressive. Still, it takes careful and thorough searching to find the right image to meet your needs. If you plan to use stock photos, the following article has some very handy tips, like how to find out if the same image is available cheaper from another site. Freelance writer and blogger, Yohana Petrovic contacted me with an idea for a post describing four tools that can help you become a better writer. Enjoy! The best free tools to improve your writing skills! The art of writing is a combination of language, technical skills and creativity. The language and technical aspects of your writing include elements such as grammar and proofreading. However, grammar is an area from which you can learn every day. The command over grammar is like the electricity powering your computer: you will need that power every day to create polished content. The creativity aspect of your writing includes the major element, which is your uniqueness – ‘your style of writing’. Hence, there are categories such as fiction writer, resume writer, copywriter, content writer and so on. 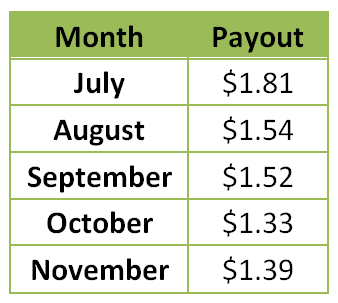 For the first time since the launch of Kindle Unlimited, the KOLL payments have risen. Only by 6¢ per borrow. But a step in the right direction. Kindle Unlimited downloads read to 10% (and all Amazon Prime borrows) paid $1.39 per borrow in November, 2014. Amazon launched several new Kindles this 4th quarter, they were giving away Kindle Unlimited subscriptions early in Black Friday week, and they have an option to gift Kindle Unlimited subscriptions. All these new Kindle Unlimited subscribers will lead to many Kindle Unlimited downloads for the next 2-3 months. This means there will be many customers reading books via Kindle Unlimited, but it also means that the payout for the KOLL Global Fund probably won’t rise significantly at least until March, 2015. The question remains: Is it better to be in KDP Select, or out? Personally, I like seeing a large number of subscribers actively reading books in Kindle Unlimited, even if the KOLL payment has decreased somewhat from the days where it was only Amazon Prime. My sales continue to improve slightly overall each month, and the KU downloads are a sweet bonus, even at the lower royalty. Not every book is thriving in the program, but many are. We don’t care about the dow. We care about the ku. We invest our books in the ku. And hope to see a return on our investment. Note that gifting a Kindle is more of a suggestion. The reality is that the customer can buy anything on Amazon with that gift, not necessarily the book that is linked to it. (Though not all customers realize this.) This can be a good thing, in case you gift someone a book he or she really isn’t interested in. But what’s better than gifting a book? Gifting a subscription to Kindle Unlimited, of course! Type Kindle Unlimited in the search field at Amazon’s home page. The first match in the search results is Amazon’s ad for Kindle Unlimited. The rightmost link in the ad is called, Gift Kindle Unlimited. You can select a membership duration of 6 months, 12 months, or 24 months. The cost is $9.99 per month. The recipient gets to read unlimited books from a collection of 700,000 books. This includes KDP Select books along with about 100,000 books from smaller traditional publishers, including some popular titles like The Hunger Games. Instead of clicking Gift Kindle Unlimited in my instructions above, click Browse the Catalog to see some of the more popular Kindle Unlimited titles. It’s not necessary to have a Kindle device to read Kindle Unlimited books. There are Kindle apps to help read from tablets, pc’s, laptops, or smart phones, for example. Authors, if your books are in KDP Select, it might be in your advantage to spread the word about the Kindle Unlimited gift option. Who knows, if the recipient discovers that it was your idea, maybe they will check out your books. At the very least, KDP Select authors should like to have more Kindle Unlimited customers. Is a book worth more than…? WHAT IS A BOOK WORTH? How much money do you spend on…? Early sales help a book start out with a good sales rank. This gives the book better visibility, especially if the book lands on any of the bestseller lists (even in a subcategory). The customers-also-bought list also builds faster. 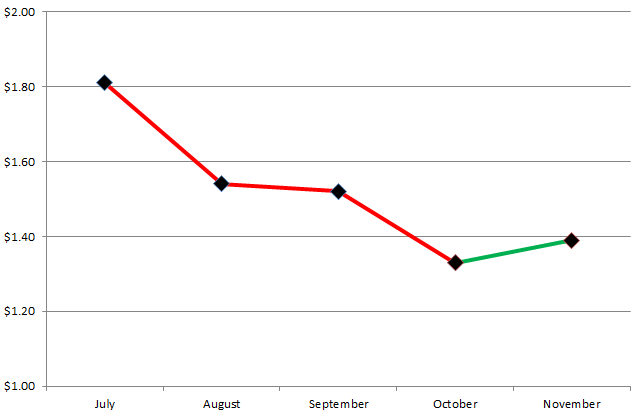 If sales taper off, those early sales prevent the rank from sliding as quickly. Early sales improve the chances for early reviews. In this article, I will present a variety of ideas to assist with book promotion before, during, and shortly after the book launch. 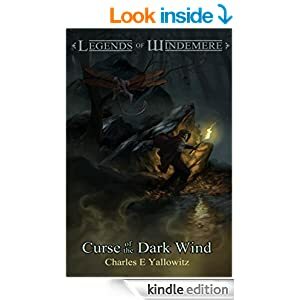 To help illustrate some of my points, I will feature strategies used by fantasy author Charles E. Yallowitz, who is presently promoting his own book launch for Curse of the Dark Wind, the sixth book in his Legends of Windemere series. Spread awareness of your new release. Motivate some fans to plan to read it shortly after its debut. Get people talking about your book. They make buzz for you. Start branding an image for your book. Exposure, branding, early sales, and word-of-mouth—these are the four keys to a successful book launch. An appealing cover that clearly signifies the genre and content can be valuable not only as a marketing tool, but even as a pre-marketing tool. The cover also plays a strong role in branding. People often don’t buy a product the first time they see it. But after seeing the same image multiple times over a long period, the image becomes branded. Months later when they are shopping, if they see this image again, they recognize it. Brand recognition is how effective advertising works. Series authors have the advantage that the buzz can snowball. As more readers discover the first book in the series, each book’s launch has the potential to earn more support than the last, plus a successful launch of the newest book can improve the sales of every book in the series. I give an example of this, featuring author Charles E. Yallowitz, in the next section (see below). A so-so cover may not benefit as much from a cover reveal as a fantastic cover, but even then the cover reveal helps to get your current supporters and fans interested in your new release. Just throwing your cover out there isn’t enough. First, you need to build a network of supporters and grow a modest following. A newbie who hasn’t made any connections and who doesn’t already have a following isn’t likely to reap many rewards from a cover reveal. But any help is still better than none at all; you have to start somewhere. There is another small added benefit: If your blog post or tweet about your cover reveal feeds into your Amazon Author Central page, customers who view your author page at Amazon will see your effort to launch your book. All the little things help to distinguish the perception of the professional author from the perception of a newbie. Even a newbie author isn’t forced to release a book without a following. Who says you can’t grow a modest following with a blog and social media before releasing your book? It’s a choice. Remember, you can reveal your cover offline, too. Print it out or order proofs or author copies to show in person. Ideally, you want to reach your specific target audience, but, again, any help is better than no help. The more you interact with your specific target audience and with people who are in a position to recommend your book to members of your target audience (if they like your book enough to do so), the more potential your cover reveal has. Toss your mock-up of the concept out there. Seek feedback. People who share their opinions and see you consider and use some of their input over the development of your book are more apt to feel vested in your book, which improves your chances for reviews and recommendations. You can reach a point where your supporters want your book to be successful and will work to help make that happen. Later, follow this up with a draft of your cover. Do a cover reveal for your final cover. Spread it out so you don’t create fan fatigue. Online, post useful content between your cover reveal posts so your blog or social media don’t seem to be all about your book. By the way, I also volunteered to help with a cover reveal. It was my idea to turn my cover reveal into a post about building buzz. It’s my hope that this proves to be a win-win-win situation. It helps the content fit my blog better, it hopefully helps Charles with exposure for his new release, and I hope it also helps authors who read this post. A cool step that Charles takes for his cover reveals is that he first prepares his own cover reveal and then sends a text file with the HTML for his cover reveal to the volunteers, along with straightforward instructions for how to use it. Such time-saving convenience removes the inhibitor that it’s too much trouble. 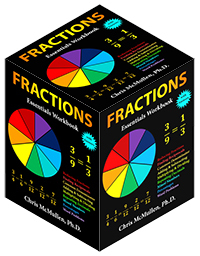 One tactic that you can apply to a series is to put one or more of the volumes on sale during the book launch, or just before the book launch, in order to help build timely sales momentum. Click to view this book at Amazon. 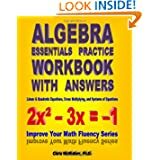 Help to create book buzz. Help with valuable feedback to improve your blurb. It’s really hard to craft the perfect blurb, so a blurb reveal helps you get input from your target audience while simultaneously helping to build buzz for your book. A great cover helps to deliver more traffic to your product page. A great blurb helps to increase the closing rate for sales. Neither the cover nor the blurb will be much help for a lousy story (especially in the long run), but they can make a huge difference for very good stories. Along with cover reveals, Charles also does blurb reveals. He also promotes his books on sites like Goodkindles and AskDavid.com, which require specialized blurbs. This presents the challenge of writing three good blurbs instead of just one, so it’s even more critical to seek helpful feedback. Another way to gain exposure for your new book is to do author interviews on blogs for which the audience is a good fit for your book. It’s a chance to gain some exposure from people who don’t already know about your book. There is a better chance of people reading your author interview if you show your creativity wisely. And you want that creative element to shine early in the post to entice people to read it who might otherwise pass on the interview. More than just announcing your new book, you can announce the chance to win something. As opposed to just giving your book away freely to everyone, people who win free books through contests often perceive that they’ve received something valuable. Tip: Browse through the list of tags at Goodreads to find the best matches for your book. Don’t dust throw darts at it. Many of the reviewers are likely to post a review at Goodreads, and only a smaller percentage will also post it at Amazon. Some won’t review it anywhere. If you give away 5 to 10 copies, you have pretty good prospects for getting a few reviews or ratings. A special, limited-time offer can help draw more interest in your book, or encourage earlier support for your book. This could be an introductory sale price, for example. 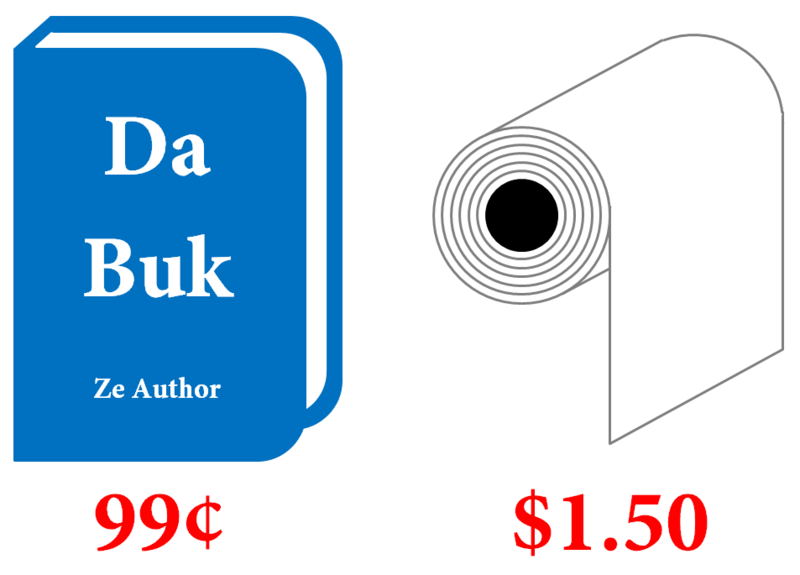 Or it could be a coupon or discount code, such as one you can generate through Smashwords or CreateSpace. Often, when a book is launched, friends, family, and fans support the book with initial sales, and then sometime later the book goes on sale. What? The most loyal readers miss out on the savings? With a special introductory offer, it pays to be a loyal supporter. Once you have a loyal following, you can benefit from preorders. Kindle Direct Publishing now offers a preorder option. You can also run a preorder for CreateSpace books through Amazon Advantage. There is an incredibly helpful post regarding this on the CreateSpace community forum. Every book benefits from the Last 30 Days and Last 90 Days filters at Amazon. But only preorders derive added exposure with the Coming Soon filter. Get all the exposure for your book that you can (so long as you can draw enough support to generate preorder sales). Tip: If you publish at CreateSpace, leave the publication date blank. This way the publication date will automatically be the date on which you press the Approve Proof button. It automatically maximizes your exposure in the new release categories. There are many wonderful offline book marketing ideas that you can implement to build buzz for your book, and these can be a new author’s secret weapon. Charles E. Yallowitz is the sword & sorcery fantasy author of the Legends of Windemere series.